Today is Back to the Future Day! But via some Silicon Valley-enabled time travel, I celebrated it a bit early at a special Revs Program at Stanford unveiling held last evening. 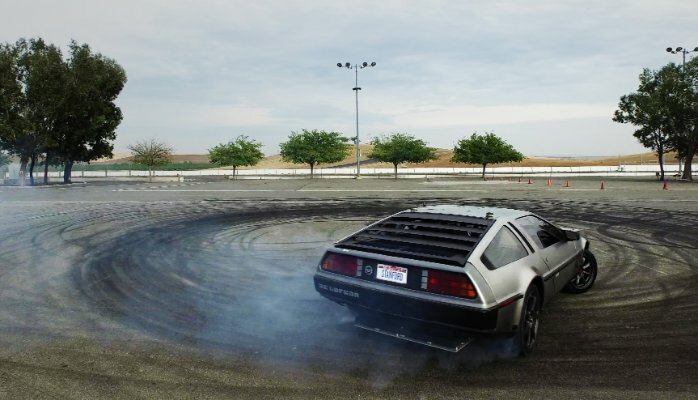 It was the debut of MARTY, an electric, self-driving DeLorean designed to execute gnarly drifts. Dr. Emmett Brown would be so proud! 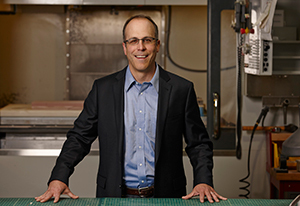 MARTY—a delightful acronym which stands for Multiple Actuator Research Test bed for Yaw control—is the brainchild of a multidisciplinary group of Stanford innovators. Professor Chris Gerdes of Stanford’s Center for Automotive Research led a team of students who took a stock, gas-powered DeLorean and transformed it into MARTY. Along the way, they created almost everything from scratch, from the code guiding MARTY through the world to the rollcage protecting its passengers to a new suspension design meant to help keep those spinning tires connected to the tarmac. Their industry partner for this adventure was Renovo Motors, creators of some incredibly exciting new electric vehicle technologies. We want to design automated vehicles that can take any action necessary to avoid an accident. The laws of physics will limit what the car can do, but we think the software should be capable of any possible maneuver within those limits. MARTY is another step in this direction, thanks to the passion and hard work of our students. From a strictly rational point of view, the team didn’t need to start with a DeLorean. But it provided a fun way to go on this learning journey, one that has a higher purpose around safety and the future of transportation. Unless you’ve built it and broken it, you really don’t understand it. Powerful words to live by for innovators everywhere. On that note, over the next few weeks I’ll be writing here about future innovation opportunities created by the advent of autonomous cars. What I love about MARTY is how it takes the premise of the autonomous automobile—whose narrative has heretofore been dominated by stories of appliance-like conveyance experiences between points A and B—and injects a whole new point of view about dynamism and perhaps even just some plain old fun. What might our future be like if we choose to create self-driving cars with positive emotions as a design priority?